Your mincemeat recipe should be all jarred up and ready to go. You know Christmas is getting closer when you can no longer resist the lure of this delicious festive treat. Gather the kids and have fun making your own mince pies this year! This recipe will make enough pastry for approximately 40 mince pies. Rub the butter and fat together to make a breadcrumb-like consistency. Add in the icing sugar, then sift the flour into the bowl. Stir all the dry ingredients together thoroughly. 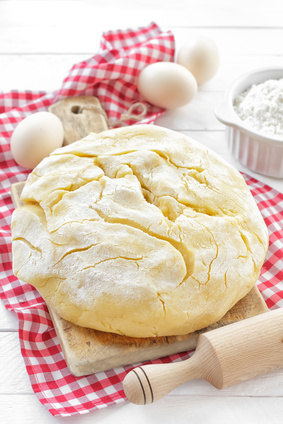 Add the eggs and bring ingredients together with your hands, kneading until you create the pastry dough. Wrap in clingfilm and chill in fridge for half an hour, then knead and roll out to begin putting your mince pies together and baking them at 180° for 15-20 minutes. Large Family of the Week – The Ramseyer Family!